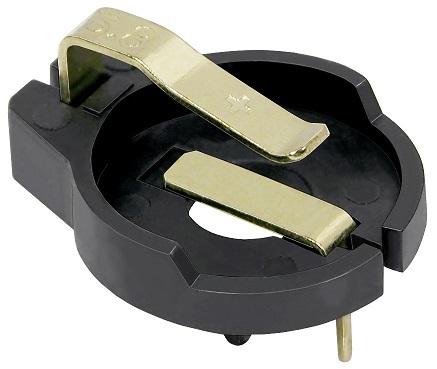 The BH600SM-5.8-G is one of MPD's iButton holders. MPD battery holders have been powering RFID devices for decades, and we have worked with many of the biggest companies in the industry. We offer some of the only holders for iButtons, which are not batteries but rather RFID devices that are about the same size and shape as coin cell batteries. We are also experienced in powering RFID applications such as toll tags, product tracking, transportation logistics, inventory systems, and asset management. We know the challenges that are specific to powering RFID devices, such as intermittent connectivity, accidental drops, and longterm environmental exposure. No matter the problem, we can offer a solution. The BHX1-2032-SM is a Glider, MPD's newest family of holders. MPD has been leading battery holder innovation for over 20 years, and the recently introduced Gliders are a great example of why. Gliders are a hybrid, combining the low cost of coin cell retainers with the high reliability of regular holders. 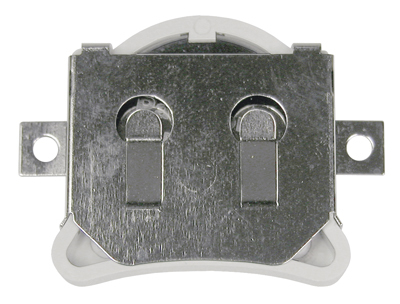 The nickel-plated phosphor bronze retainer offers low electrical resistance and keeps a tight connection with the battery, while the polypropylene tray securely latches into the retainer upon insertion. However, the tray is still easily removed for battery replacement without tools or instructions due to the intuitive design, and the lightweight plastic tray has a physical feature for reverse polarity protection as well, meaning battery replacement can be simple and painless. MPD has recently published a case study of customizing our Glider design for a leading toll tag manufacturer. In it, we address common issues such as controlling costs, automation of assembly, and increasing durability for more extreme environmental conditions. The full study is available here.